TEN young women have been awarded bursaries to attend the Ethical Farming Conference free of charge next month after their places were funded by the Scottish Government’s Regional Food Fund. The conference, which takes place on Thursday 16th May in south-west Scotland, will explore models of food production that have a focus on fair work for people, high welfare for livestock, environmentally-regenerative closed-loop production and sustainable circular economies. The conference venue is Rainton Farm, home of The Ethical Dairy, recognised as the largest cow-with-calf dairy farm in Europe. While the bursary opportunity was open to all new entrant farmers and young researchers, all applications made to it were from women. The successful applicants include a Scottish post-doctoral animal welfare researcher now working in New Zealand, post-graduate researchers exploring issues around agri-environment, food security and animal behaviour, veterinary medicine students, small holders and new entrant farmers. Wilma Finlay, one of the organisers of the conference, said: “We are delighted to be able to make attendance at the conference accessible to such a knowledgeable group of young people through this bursary scheme. “We’ve developed a conference programme that focusses on bringing together practice based innovators with academics to meaningfully address public concerns about a range of issues relating to livestock farming. One of the key things we want to explore is the transferability and scalability of sustainable and ethical farming systems, to challenge the widespread idea that regenerative farming can only be done on a small scale. The conference will be opened by Mairi Gougeon, Minister for Rural Affairs and Natural Environment. The conference sessions are titled: Pasture Management, Soil, Organic Carbon & Biodiversity; Nutritional Science of Red Meat and Fats & Social Impact; Animal Welfare and Public Goods & the Circular Economy. Keynote speakers are nutritionist, Dr Zoë Harcombe, and regenerative farmers, Emry Birdwell and Deborah Clark, from Texas. Other industry speakers include entrepreneur, Nick Barnard of Rude Health, Mary Clear founder of Incredible Edible, Adele Jones of Sustainable Food Trust and Defra and Ruth Layton of sustainability consultancy FAI Farms. Research-based contributions will be provided by Dr Angela Wright of Compassion in World Farming and Pasture For Life Association, Prof. Sarah Skerratt, Prof. Davy McCracken, Prof. Christine Watson and Prof. Francoise Wemelsfelder all of SRUC and Dr Kathryn Ellis of Glasgow Vet School. Additional contributions will include Aled Davies of Pruex on the use of soil bacteria in reducing pathogens, Andrew Whitley of Scotland the Bread on heritage grains, Bryce Cunningham of Mossgiel Farm on going plastic-free, Denise Walton of Peelham Farm on regenerative farming and USA-based holistic farmer Will Winter on grass fed milk. 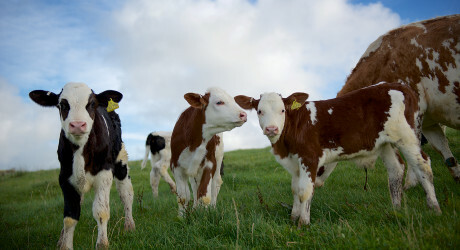 The Ethical Farming Conference takes place on 16th May at Rainton Farm in Galloway, and is being co-organised by Mossgiel Farm, Peelham Farm, Rainton Farm and Whitmuir Organic. Booking for tickets closes on Wednesday 8th May. · Wilma Finlay on Wilma@theethicaldairy.co.uk or phone 01557 814040. · Or Lorna Young on lorna@indigowords.co.uk or phone 01387 263 886 or 07872 492283. MEDIA RELEASE issued by Indigo Words. You too can share your stories (aka press or media releases), on this site. Email here for more information.